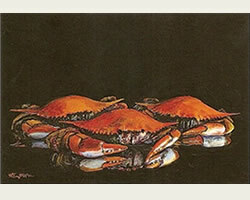 Five art prints, signed and numbered by the artist, are now available for sale via PAYPAL. 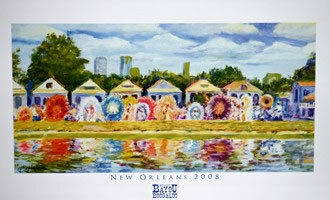 Please note that each print is a different standard size for ease and economy in framing. 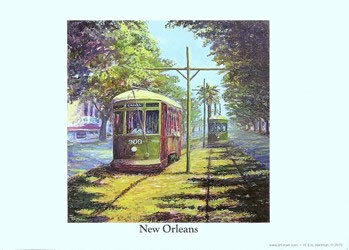 Allow 7-10 working days for shipping. 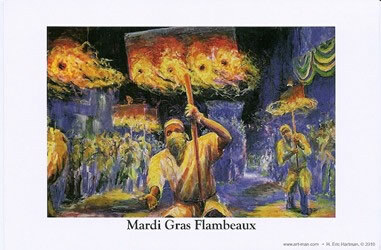 One of the great traditions of Mardi Gras in New Orleans are the Flambeaux that have lit the way for Mardi Gras parades each night for over 100 years. 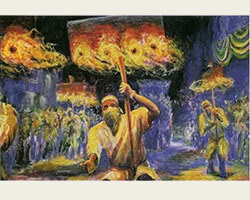 These men proudly march and dance their way along the miles of each parade route and hope of getting an appreciative tip for their skills performed. 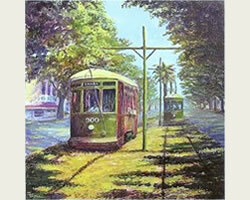 Nothing is more recognizable than a New Orleans streetcar. 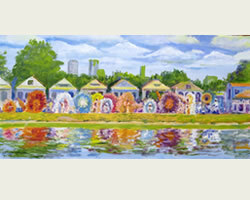 Its unique sounds filter through our surrounding neighborhoods and are part of the soundtrack of what it means to live here. 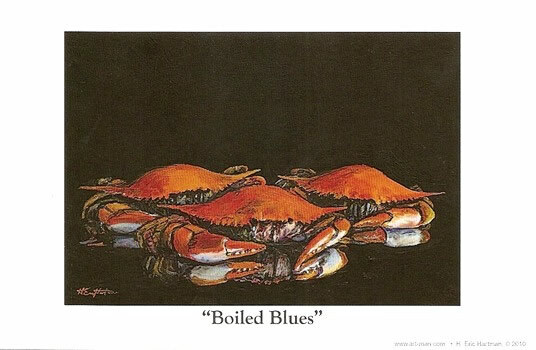 A marvelous portrayal of one of New Orleans’ great seafood delicacies, boiled blue crabs. 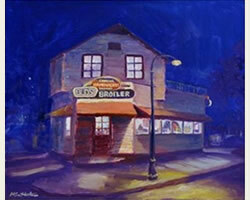 This painting celebrates the return of a Mid-City Icon: Bud’s Broiler. 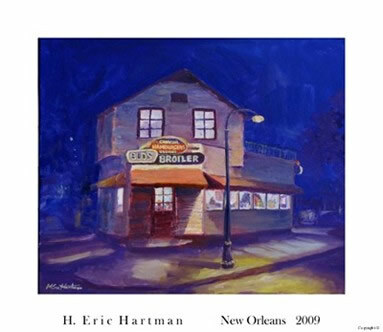 Eric's 2008 Boogaloo Poster was a huge hit and received rave reviews!